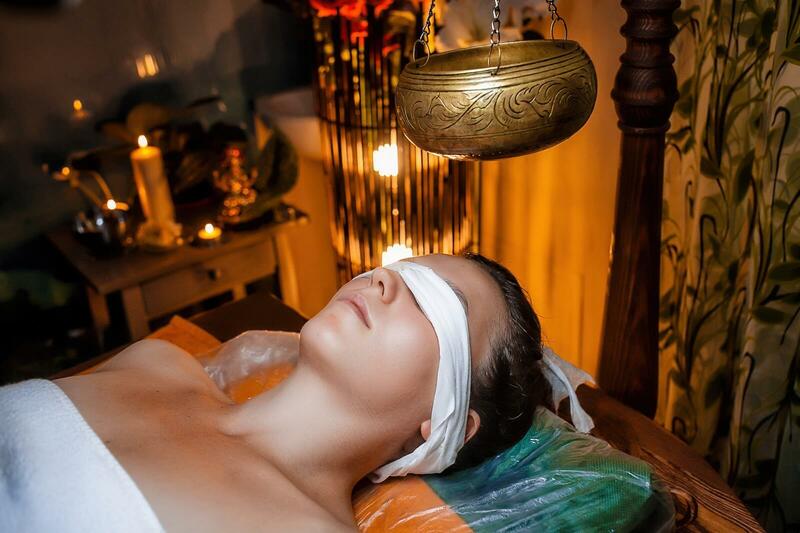 MASSAGE AND MEDICAL TREATMENT IN ST.PETERSBURG! 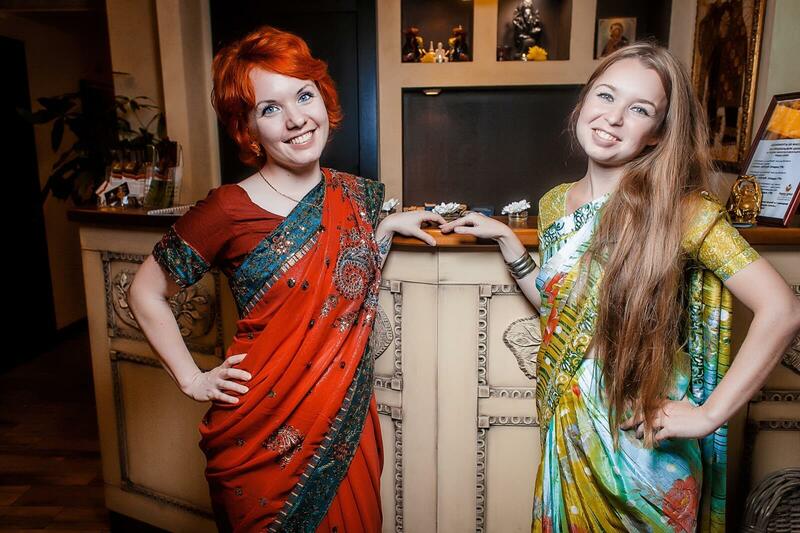 Happy Lanka ayurvedic medical centre ( health center) is a unique place in Saint-Petersburg where Indian ayurvedic massages, spa treatments , health and beauty massages based on the most ancient Indian knowledgs are executed as well as several study courses on ayurvedic medicine , yoga are held on regular basis awarding certificates to the pass outs . In addition to those here in HAPPY LANKA ayurvedic doctor consults(dispenses) patients,determining their body types and subtle causes of their diseases on DOSHA SCALE, prescribing for them recommendations as to diet,ayurvedic drugs,panchakarma therapy,yogic exercises,domestic purification program and at the same time we are glad to inform that more than 25 panchakarma detox procedures are carried out by qualified personals under the active supervision of doctor . The prime and foremost goals of the medical center comprise of instructing people about how to take care of their health by themselvs, providing harmony between body ,mind and spirit spreading Ayurvedic knowledge amongst population , as well as providing people with necessary informations about natural herbal drugs and other earliest wellness regimens those are still in use in traditional culture of medicine of India and Sri Lanka and thus providing precious REJUVENATION which is very relevant in modern world of pollution and tyranny . Health improving REJUVENATION therapy releasing stress ,strain and emotional tension is widely applied in the center. Apart from that immunity-related therapy , nervous and cardiovascular disorders therapy, weight management program and health improvement after children birth. Ayurvedic doctor from India and residing long time in Russia consults (dispenses) patients and carries out preliminary medical treatment. His knowledge, experience and treatment skill are confirmed by the verbal words a club of cured ,healthy patients as well as their thankful and gratified feedback through many public sites throughout Russia. Ayurvedic massage is a key part of Ayurvedic therapy. As a machine needs to be oiled regularly , thus the body prefers to have its larger organs, smaller organs , skin,and other parts soothed. That is why oils and unctuous substances are commonly used in Ayurvedic massages. Oil (or unctuous substance) massage is consistently used throughout Ayurvedic massage treatment programs. In an ideal understanding , Ayurvedic massage should be carried out every day to promote positive health, overcome fatigue, strengthen the nervous system, improve eyesight, nourish the body tissues, increase longevity, normalize sleep, instill flexibility and sturdiness as well as to maintain good health in general and to provide REJUVENATION . According to ancient ayurvedic text, regular oil massage (abhyanga) slows down the aging process. Ayurvedic oil massage loosens the ingrained ( deep-seated,rooted) toxins from joints and tissues and releases them into system, form where they are eliminated. Besides this, the accumulated toxins from skin are also released to give you healthy and clearer skin. Another benefit of ayurvedic oil massage is that it strengthens and tones the muscles and even resilient to injury. Ayurvedic massage with warm oil helps to nourish, strengthen and lubricate the joints. It makes the joints resilient to wear and tear. It increases blood circulation, especially in the nerve ending. It encourages sound and deeper sleep at night. With regular oil massage your skin will look moisturized, lustrous and supple. Ayurvedic oil massage also helps to balance vata,pitta and kapha doshas. In simple words, it revitalizes lethargic body and mind by enhancing blood circulation throughout the body,thus bestows with REJUVENATION. It also helps to calm nervous system and mind. With regular oil massage you will feel rested, calm, alert as well as focused. 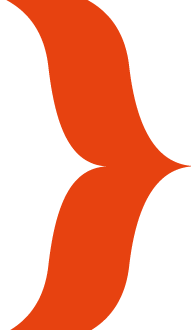 'sira' means head and 'dhara' is the continues flow. This treatment is a continuous flow of oil on the body of the patient. Sirodhara is a cold massage. Dhara uses oils as well as some concoctions. Sirodhara is carried out by using a pot having a yarn wick fitted into the hole. This pot would be hanged over the wooden vessel in which the patient is lying. The medications would be poured into the pot and the liquid would be gradually trickled onto the head. The herbal oils, medicated milk, medicated buttermilk etc., form the portions of medications and it would be carried out for about 40 minutes. This treatment is very effective for people suffering with insomnia, loss of memory, headaches, migraine, mental tension and certain skin diseases. 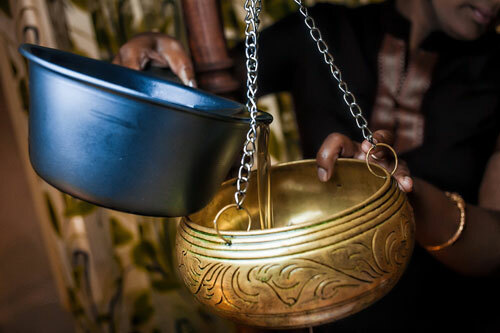 Shirodhara reduces excess vata dosha, which is the primary dosha out of balance in PTSD. According to Alakananda Ma of the Alandi Ayurveda Gurukulam, shirodhara done with an appropriate Shirodhara Oil containing nervine herbs will deeply soothe the nervous system and help ease the symptoms of PTSD. Shirodhara is traditionally known for its ability to assist with sleep problems. Research proves the treatment effective alone and when coupled with herbal support. Shirodhara is also a great treatment for the healthy individual looking to maintain health and enhance well-being, clarity, calm and immunity. Shirodhara promotes deep relaxation, relieves fatigue, renews and reinvigorates the body and mind. It also balances one’s energy level. If you are in need of rest and relaxation, the process will provide you that. If you are well rested, the process will enhance your clarity and perception. We will provide you with medical back and full body massage, as well as head and footsteps massage. One of the basic massage types is a traditional massage. It aims at full health improvement and is known as a great neurotic preventive method. Lymphatic system and blood circulation improvement can be observed after a series of traditional massage. This is a basis type of massages, that is why a great diversity of massages from lymphatic to anticellulite ones appeared based on it. Dr. Das Jayant Kumar is a unique specialist with qualifications in both ayurvedic and modern allopathic medicine. Furthermore, doctor Das has been living in Russia for almost 17 years, gearing classical Ayurvedic treatment and diet methodic to Russian climate and rhythm of our modern lifestyle. He is invited very often to many medical forums and conferences across the country , and our center invites you to attend his lectures dedicated to Ayurvededic medicine. Dr. Das Jayant Kumar, who comes from a doctor,s dynasty, was born and brought up in Burdwan ,in a city of West Bengal state of India, . He graduated in Physics and Mathematics University in 1998. He has been living in Russia since 1999. In 2008 he pursued his graduation in Saint Petersburg State pedriatic Medical Academy in Saint-Petersburg in a specialization of "General Medicine". In 2011 in the same academy he pursued his post graduation in specialization of "Cardiology". He has been working in the sphere of integrative medicine( combining ayurvedic medicine,allopathic medicine,naturotherapy,yoga) since 2007. He had studied in Bombay branch of Mahatma Gandhi University in a specialization of of "Ayurvedic cardiology" since 2013. In 2013 he underwent a special training course in ayurvedic medicine and panchakarma in Mysore (India). In 2014 he had been awarded with the certificate of completion of " Ayurvedic cardiology ". since 2016 he started writing his dissertation of his P.hd work in alternative medicine which enfolds cardiology ,ayurveda,allopathy,yoga,russian herbal medicine .